The agency checks foods for pesticides every year, but for decades had refused to test for glyphosate. The decision to start checking for the chemical was made only after many independent researchers started conducting their own testing on various foods 2 years ago and found glyphosate in flour, cereal, oatmeal, and a host of other products. The discovery of glyphosate – declared a probable human carcinogen in 2015 by the World Health Organization (WHO) – lends more credence to a growing number of studies that show the chemical is pervasive, as honey is not produced with the use of the chemical – at least not knowingly. There is no legal tolerance level for glyphosate in honey in the U.S., so even traces of the chemical could technically be considered illegal. Some of the honey tested by the FDA had glyphosate residues measuring 107 parts per billion (ppb), which far exceeds the 50 ppb maximum limit established by the European Union (EU). Monsanto – as well as the U.S. government – maintain that any glyphosate residues found in food would be miniscule, and therefore harmless. Of course, without robust testing, it’s impossible to know just how contaminated the food system is. Individuals may only be eating trace amounts of glyphosate when they spread honey on their toast, and if that’s all they ate, they would probably be safe. But Roundup is the most widely used herbicide on the planet. The combination of a lack of testing and the fact that glyphosate is everywhere means that people probably eat far more of this toxic substance than they realize. It’s impossible to spray glyphosate on just one plant, crop, or field. There’s not much farmers can do about wind, and drift is a serious problem with Roundup. For example, when the GMO awareness group Moms Across America tested wines made in Napa Valley, Sonoma, and Mendocino counties in California, 100% of the samples were found to contain glyphosate – including organic varieties. Glyphosate was also detected in more than a dozen types of German beers, including those that were supposed to be brewed from only water, malt, and hops. 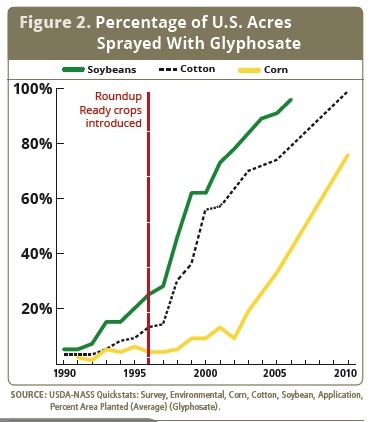 So, farmers worldwide are spraying glyphosate on their crops, it is spreading to non-targeted plants and, as a side note, it doesn’t even do a very good job of killing weeds. Americans have “woken up” to the reality of the toxins that wind up in their food, either intentionally or unintentionally (or because regulators just don’t care), and are demanding more transparency when it comes to the products they buy at the supermarket. 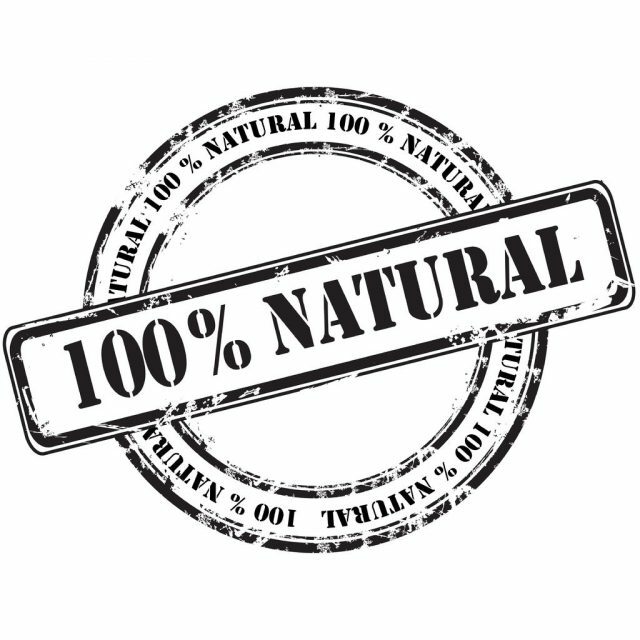 Understandably, when someone purchases a product marketed as “all-natural” or “organic,” well, they expect it to be all natural or organic. And when it turns out that a product contains traces of glyphosate, things go downhill, fast. It was revealed in August that multiple lawsuits are pending against Nature Valley because some of the company’s granola bars – marketed as “100% natural” – were found to contain small amounts of glyphosate. That’s just 1 example. Sioux Honey Vice President Bill Huser said that many of the farm fields frequented by bees are sprayed with glyphosate, and the bees carry the chemical back to their hives where the honey is produced. But that won’t matter to consumers, who expect to get exactly what they pay for, and rightly so.